1. Create and/or save the picture image you want the comment to display. 2. Create the comment, if you have not already done so, and select the cell in which the comment is. 3. From the menu bar, click Insert, Edit Comment, or right-click the cell and select Edit Comment. 4. Right-click on the comment border and select Format Comment. 5. Select the Colors and Lines tab, and click the down arrow belonging to the Color field of the Fill section. 6. Select Fill Effects, then select the Picture tab and click the Select Picture button. 7. Navigate to your desired image, select it, and click OK twice. 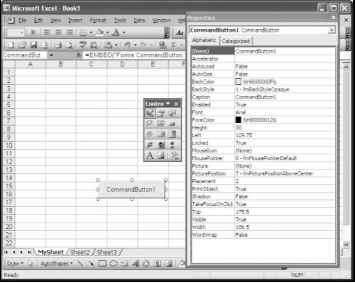 Application.ScreenUpdating = False x = "C:\Excel VBA 2003 by Jelen & Syrstad\Graph.gif"